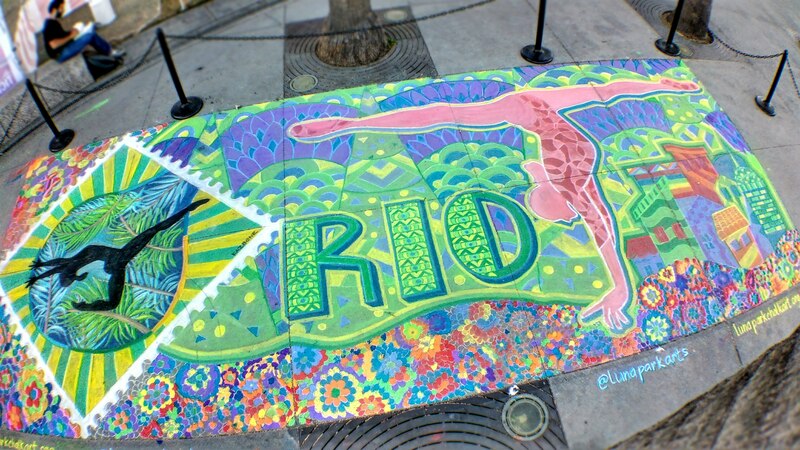 July 8-10, 2016, the Luna Park Arts Foundation hosted an interactive chalk art mural at the Gymnastics City festival, located at Arena Green outside of the U.S. Women's Gymnastics Olympic Trials. The mural incorporated 2 sections: a commissioned professional-level chalk work by local artist Kyra Kazantzis; and, surrounding her mural, a large-scale coloring book style mural that festival attendees colored in. The completed mural stretched 10' tall by 40' wide and remained at the park the entire week. On April 30, 2016 the Luna Park Arts Foundation returned to Campbell Middle School for their 2nd annual Chalk Art Festival. Foundation president, Clif Gold, led workshops throughout the day in the 5-7th grade art classes, testing what we hope will be a series of activities and curriculum that we will make available to art teachers for free... stay tuned! After school, all students got to participate in the festival, led by art teacher Kimiyo Cordero and PTA president Nancy MacWilliamson. 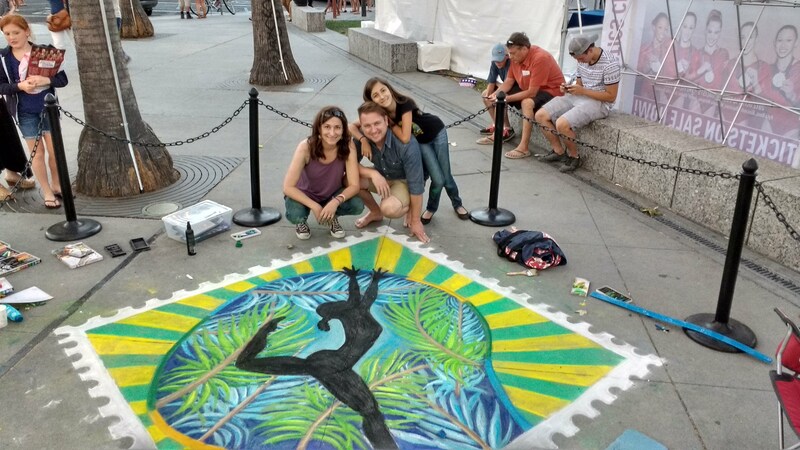 Volunteer artists, Sarah Cade, Chris Carrillo and Sonia Barron joined in the festival, mentoring students and chalking large pieces of art. 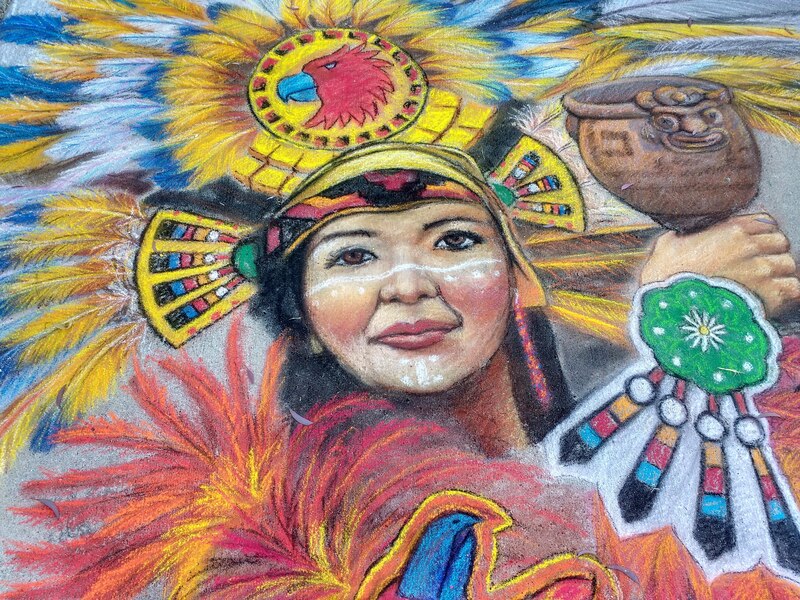 "Clif Gold and the artists of Luna Park Arts Foundation have brought fabulous chalk art education and enthusiasm to our Campbell Middle School PTA chalk festival. They demonstrated many chalk techniques and volunteered many hours of their time to help foster the imaginations of our middle school students. 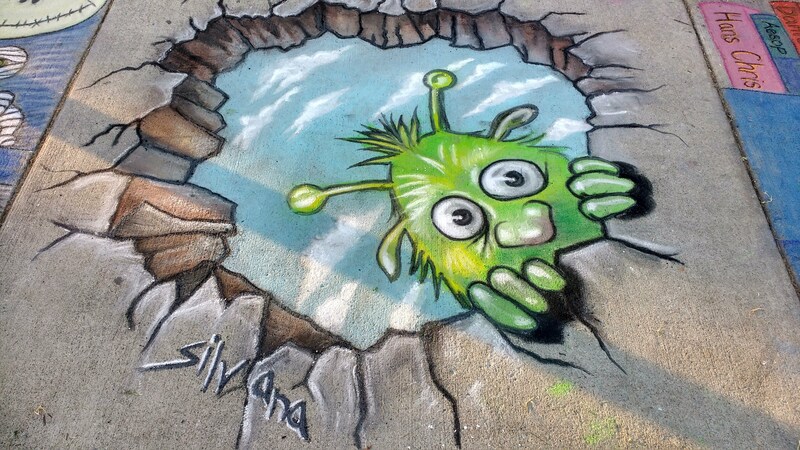 The chalk festival is one of the best PTA events of the year because of all the effort from Clif and the Luna Arts Foundation. We are so thankful for their support". - Nancy MacWilliamson CMS PTA President 2014-2016. If your school is interested in a workshop or demonstration, email us at info@lunaparkarts.org. 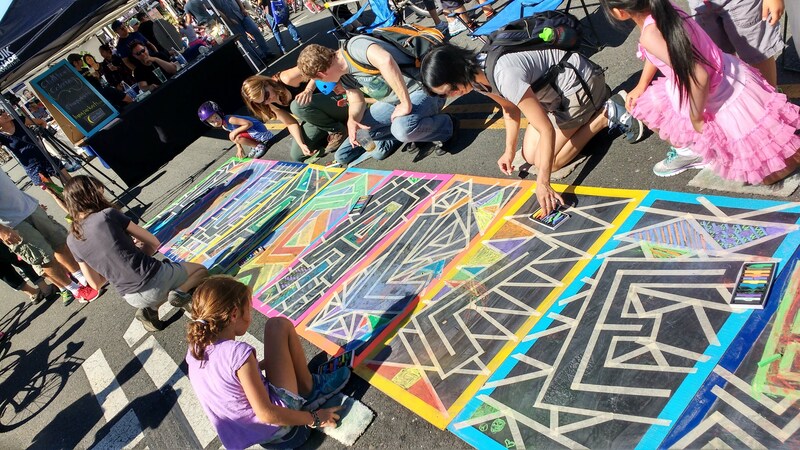 In 2014-15, the Luna Park Arts Foundation stepped up its efforts to bring interactive chalk activities to the community, outside of the chalk art festival. 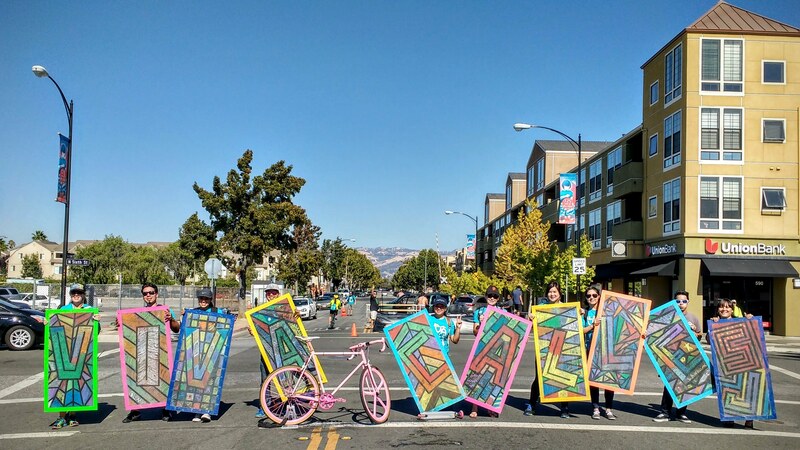 We did so by partnering with neighboring Downtown San José events and other organizations. Volunteers Clif Gold, Michael Foley, John Cloud, Sarah Cade, Chris Carillo, Sonia Barron, and Carol Beebe created special themed murals, hosted "open chalk" areas on paper, pavement, or canvas, and Clif's chalk car made it to several events as well... until it died. See our collection of pictures from 2014-2015 outreach events.